12 yr old boy had his iPad stolen. Was found by police however cracked. KCR called boys parents and did free repair. Win a Brand New LG G3 Smartphone from Kelowna Cell Repair and Kelowna Now! click on the link below. Good Luck!! 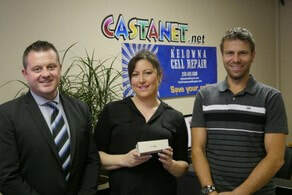 Kelowna Cell Repair and Castanet here in the picture. Erica from Kelowna was the lucky winner on an LG G3 Smartphone. Castanet ran the contest for 2 weeks and the winner was randomly chosen. Congratulations to winning an awesome phone and thanks for everyone that entered the contest. 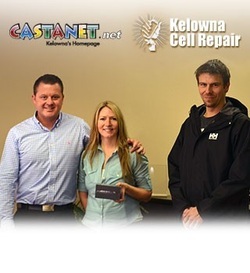 Kelowna Cell Repair and Castanet teamed up to give away a brand new fully unlocked iPhone 6. To enter you simply went to Castanet page and FB like our page and their page and than entered the contest. 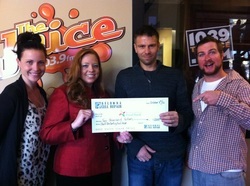 The winner of the awesome prize was Amber Pieche from West-Kelowna. Congratulation Amber on winning an amazing prize. Apple Iphone 5 give away with Castanet.net. 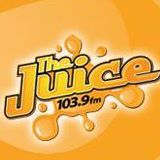 Castanet.net ran a contest on their facebook page and we supplied a brand new Apple iphone 5 unlocked for the contest. Congrats to Tammie Watson the winner! MEDIA RELEASE FROM CASTANET.NET REGARDING OUR SUCCESS RATE REGARDING LIQUID DAMAGE DEVICES. 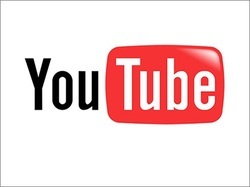 CLICK ON THE YOU TUBE ICON TO SEE THE VIDEO. 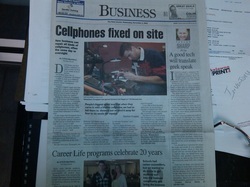 THE DAILY COURIER DID A NEWS STORY ABOUT THE REPAIR OF CELLULAR DEVICES SERVICED LOCALLY.